Smith’s Alternative used to be a bookshop and is now a venue. 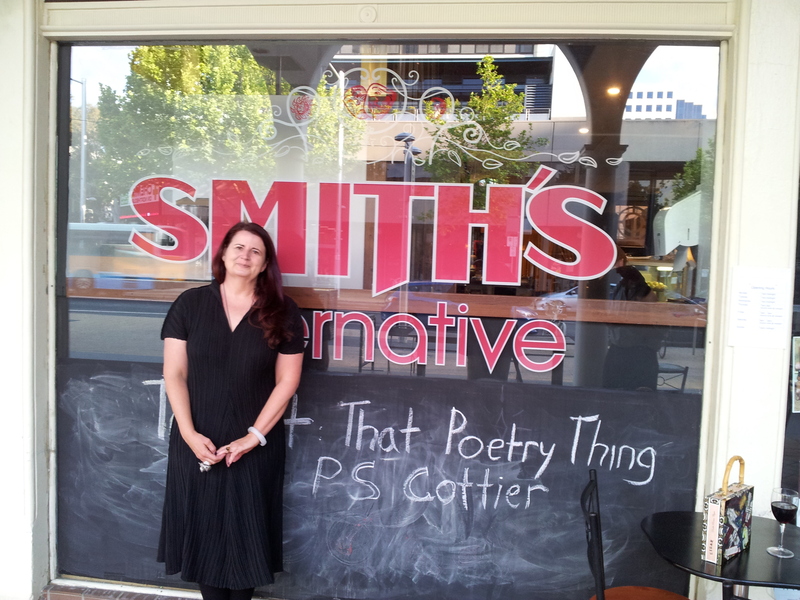 I was lucky enough to be asked to be the first poet to read as part of ‘That Poetry Thing That Is On At Smith’s Every Other Monday’ aka An Evening with P.S. Cottier, by MC Norm de Plume. the air thin as capillaries. through the blank page plains. as a pancake’s Sunday hammock. in front of tossing, avid fire. The cactus blooms, and no-one sees. Now Nigel is the proprietor, and I hope that the space works as a venue for years to come. 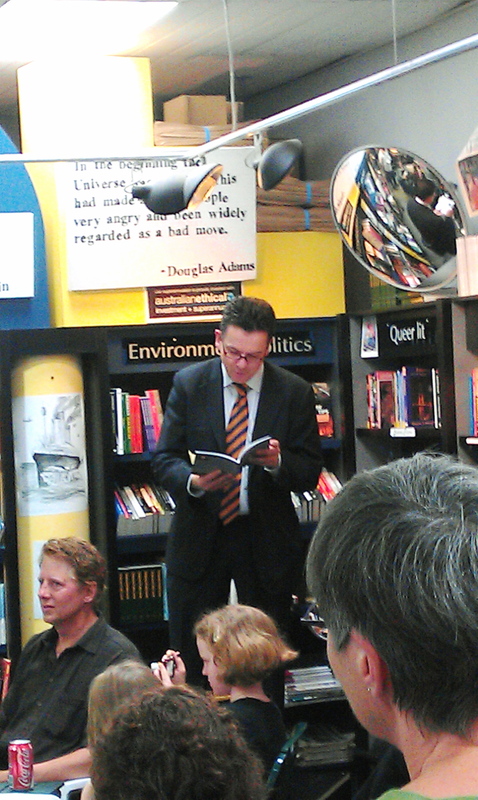 Thanks to everyone who came along. I suppose this can act as a Tuesday poem after all! Read the works of the other Tuesday Poets by pressing here. That will do me for a Tuesday poem ! Nice work ! Sorry I couldn’t make it last night, congrats on the gig ! Thanks Melinda. Look forward to seeing you read there sometime! And let us have coffee and capybaras soon. I continue to be amazed by your ability to write poems on the fly! After 10 minutes, I’d still be worrying about whether I should be including the words “(other search products are available)” after “googled”. Other search products? I vaguely remember one called ‘yobo’ or something. And, to continue boasting, I couldn’t connect to Google as my phone chucked a hissy. They do the five word challenge at the Poetry in the pub gatherings I go to. Brilliant poem P.